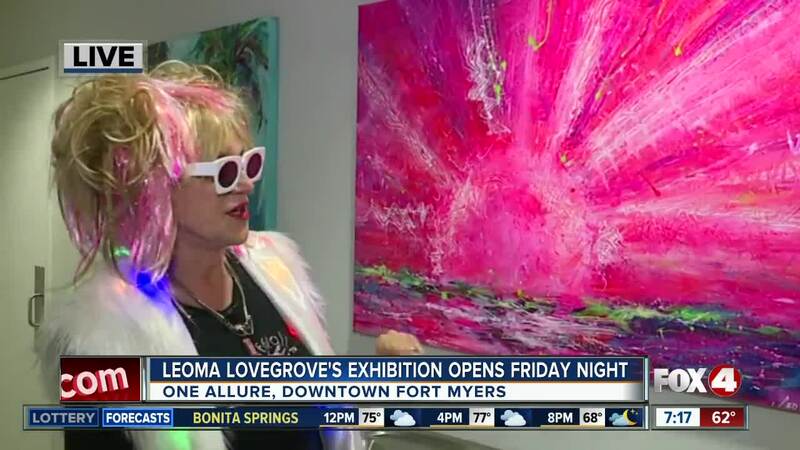 Local artist, Leoma Lovegrove, opens her newest art exhibition called, "Here, There and Everywhere," on Friday, Februrary 1st in Downtown Fort Myers. 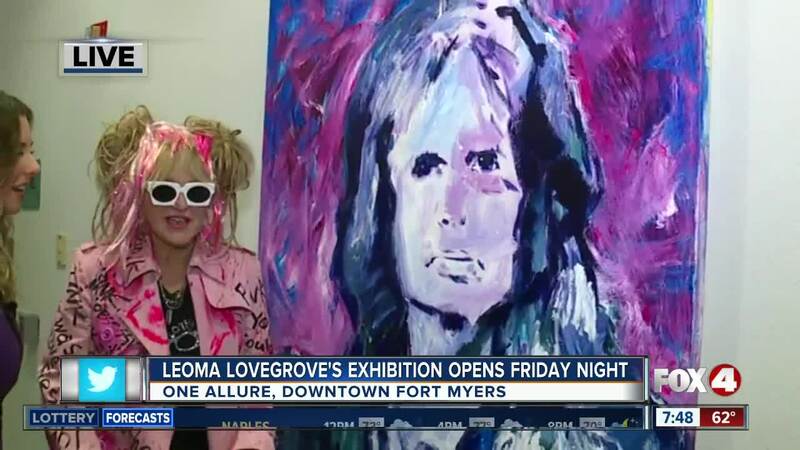 FORT MYERS, Fla. — Local artist, Leoma Lovegrove, opens her newest art exhibition called, "Here, There and Everywhere," on Friday, Februrary 1st in Downtown Fort Myers. It's located at ONE/ Allure's sales center and the opening begins at 4 p.m. The exhibition will feature about 60 pieces of Lovegrove's most representative work. It's located at 1300 Hendry Street and is open to the public until 7 p.m.
Lovegrove went public with her breast cancer diagnosis back in December. She has long been an advocate for cancer awareness and recovery and wants to encourage women to be assertive when it comes to their health. The artist also lost a sister to cancer several years ago.